After the dust of Apple’s last keynote has settled and we’re now all exited about the new Apple Watch and Mac Book, let’s not forget about the upcoming Yosemite release featuring Photos. 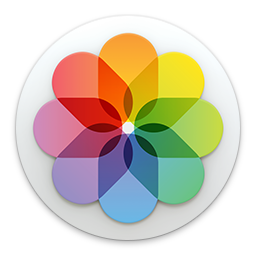 Apple’s new photo editing app replacing iPhoto and Aperture. Since some of you already did ask me about Posterino’s support for Photos, here comes the good news: We just made available a Posterino beta featuring exactly that. On the beta page you’ll find all details on downloading, installing and running the beta. You can always turn back to the latest stable release. In short: it’s painless as usual. And since it features some nice improvements, you also benefit if you’re not yet running Photos. So much for now. I’ll keep you posted. I’ll make it short this time: The Posterino 3 beta phase is going on quite well and we have a Posterino 3 Release Candidate ready for widespread public inspection. You can download the Posterino 3 RC from our beta page starting now. In my next post I will talk about all details on availability, pricing and upgrade options of Posterino 3. Stay tuned! Have fun playing with Posterino 3 RC! It’s time for a new unveiling – the better and more robust Posterino 3.0. We’re sending you this email because you opted-in to get the latest news on Posterino. And we want you to be the first to taste Posterino’s latest goodies. You’re probably thinking it has been awhile since you’ve heard from us. That’s because everyone at Zykloid has been busy dreaming up enhanced features for Posterino 3.0. Like any new software, Posterino 3.0 will need some testing before we offer it up to the hungry masses. As a fan of our products, we would like you to be one of our beta testers. You’ll have the exclusive chance to try out Posterino 3.0’s new features, like the circular layout option, before anyone else, and enjoy all the subsequent bragging rights. 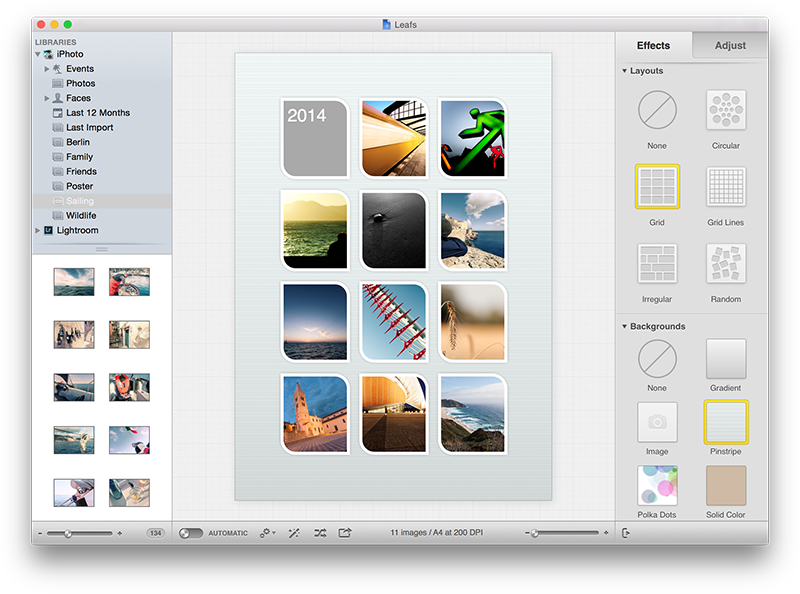 Whet your appetite for Posterino 3.0 with some screenshots and sample templates. Spots are limited and will be given out on a first come, first serve basis. You can sign-up now for a test-drive. 1. We only have room for only a limited number of beta testers. We’ll start with a few and increase as needed. 2. 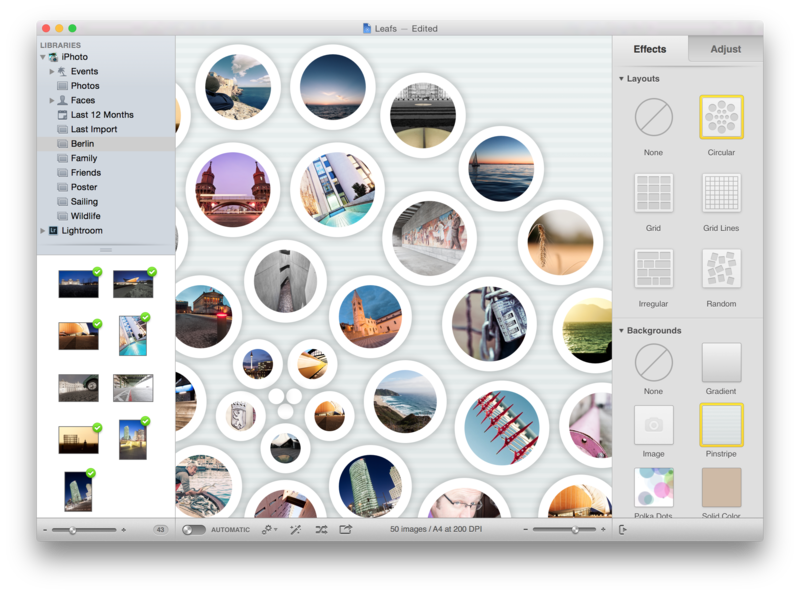 Posterino 3.0 will run on Mac OS X 10.9.x “Mavericks” or later only. How do I run the latest Posterino beta and my Mac App Store copy side by side? Mac App Store does not allow the distribution of beta software, which is actually a good thing. However, from time to time you might like to run a beta version. For example, we just implemented a “Snap to Guides” feature and made it available as a beta several weeks before the feature actually appeared on the Mac App Store version of Posterino. How to run a Posterino beta version side by side with a copy of Posterino purchased through the Mac App Store. How to sign up for our beta version e-mail notification service. Why would you like to run beta software? The Mac App Store review process takes some time and you might like to get your hands on the most current version of Posterino as soon as possible. We implemented a new feature which you (among others) requested and we like to give you the chance to be the first to play with it, like the “Snap to Guides” feature that was requested by many of you. Generally on these occasions we send out invites with a link to a beta version. A beta version fixes a problem you’ve encountered, but this version of Posterino is not yet available on the Mac App Store. You’d simply like to stay on top of the development. You just need the pure thrill of running beta software. In this case, please also contact the local branch of the Beta Addicts Anonymous support group. First, one word of caution: Some folks really like to get their hands on the latest “bleeding-edge” trunk of some kind of software. But running beta software is clearly not everybody’s business. If you feel uncomfortable with this kind of stuff, just don’t run it! No shame! This post is made for the folks who like to get their hands dirty and run a backed up system! To run a beta of Posterino we have to understand one thing: Technically the copy of Posterino purchased through the Mac App Store and the beta (or regular version) downloaded from our site follow two different licensing models. This boils down to one simple fact: The copy downloaded from our site will stay in demo mode! However, this does not pose a problem at all, you just have to make sure to use the copy of Posterino purchased through the Mac App Store to export your document without the demo watermark. It’s that simple. Download a beta from our site and unpack the ZIP file. Rename it to something like “Posterino-beta” and put it in your Applications folder. Put it somewhere else. Maybe you already have some kind of “Beta Stuff” folder. 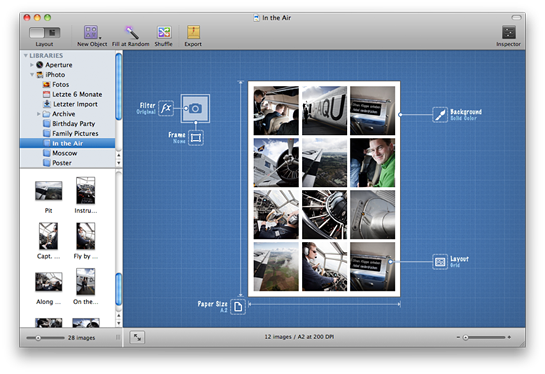 To create and edit your Posterino document use the beta version (or your Mac App Store copy). 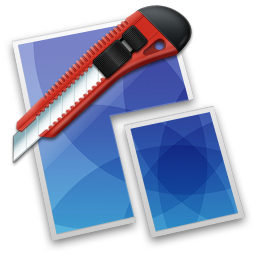 To export your document switch to your Mac App Store copy of Posterino. If you are done with the beta copy of Posterino and you don’t need it any longer, just drag it into the trash. That’s it. There are no other files to consider. In case you accidentally overrode your copy of Posterino from the Mac App Store with a beta or you removed your Mac App Store copy altogether, just install it again using Mac App Store. No big deal. If you’d like to get a short notification e-mail every time we release a new beta of Posterino into the wild, just subscribe to our Notification Service. At our current rhythm, new betas are released two times a month. Of course, you can unsubscribe at any time and we don’t share your data with anyone outside Zykloid Software. How to (re-)install Posterino using Mac App Store? Posted on May 2, 2011 Author ChristophCategories How ToTags app store, beta, cutting-edge, how to, installation, mac, maintenance, posterino2 Comments on How do I run the latest Posterino beta and my Mac App Store copy side by side? We just want to let you know that the Posterino 2.0 beta sign-up form is now online! We have a limited number of spots available to be given out on a first come, first serve basis. Truth is, it’s been pretty quiet around Posterino. Not because we’ve been out enjoying the sunshine. Rather, everyone here has been working hard producing Posterino 2.0, which is chock full of enhanced features so you can more easily customize your document and get your photos out into the light of day. The new Posterino document window in layout mode. Here’s how Posterino 2.0 stacks up against version 1.x! Enjoy new themed templates: For example, a “western” theme automatically transforms all images into sepia. A “Black & White” theme makes all images B&W. Take a look at some screenshots of Posterino 2.0 for yourself here. We have a limited number of spots available to be given out on a first come, first serve basis. Once we open a semi-public beta test phase for our new baby, you’ll be able to sign-up for a test-drive. We’ll give the start sign on Twitter. You can also subscribe to a notification e-mail or listen to our blog. We have room for only a limited number of beta testers. We’ll start with a few and increase as we make progress. Posterino 2.0 is for Mac OS X 10.6 “Snow Leopard” only. You must have Snow Leopard to participate. Thanks so much for taking the time to learn about Posterino 2.0. We’ll be giving out the signal for sign-up on Twitter soon.